Bill Pugliano / GettyTesla CEO Elon Musk. Tesla has a long history of dealing with crisis after crisis. 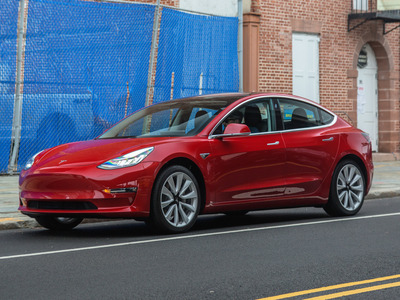 Tesla’s most recent crisis was with production of the Model 3 sedan – but it now appears that the company has stabilised its problems. The latest crisis was rough, but there have been others that were also challenging. 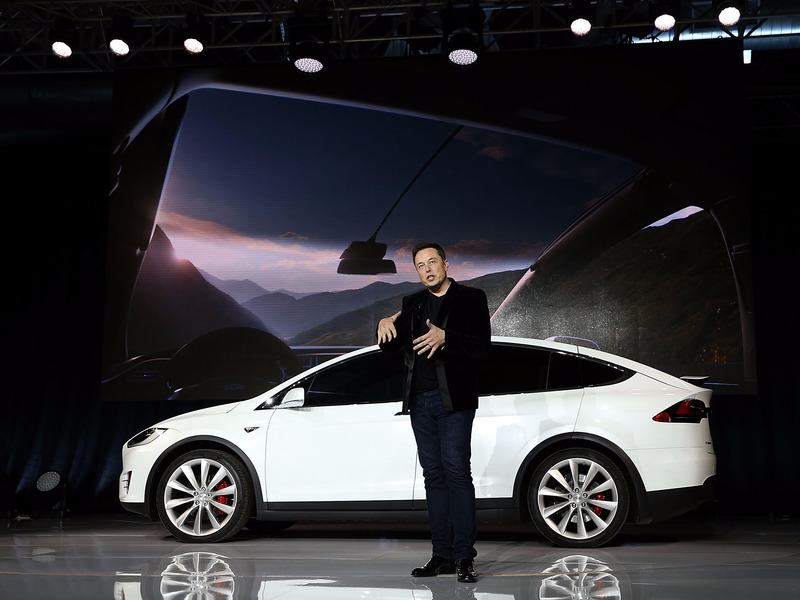 The company’s detractors could be underestimating Tesla’s ability to recover from setback. Tesla reported second-quarter earnings last week, and while the company lost more than it ever has, it also brought in a record amount of revenue. More importantly, the company put its most recent crisis decisively behind it. 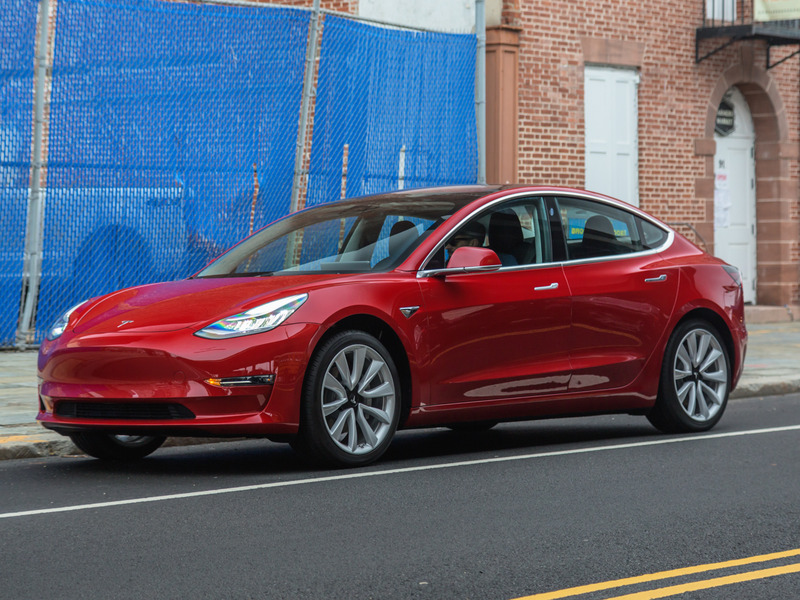 As a carmaker, it’s now clearly figured out how to elevate production of its Model 3 sedan, which had endured a difficult birth. At a minimum, Tesla is probably able to manufacture 2,000 per week, stretching up to 5,000. On the PR front, CEO Elon Musk did his penance and expressed contrition for flipping out on the first-quarter earnings call when several Wall Street analyst made him mad. The markets liked all of this, brushing off the bottom-line miss and giving Tesla a 15% improvement in its stock price. By the time the Nasdaq closed on Thursday, Tesla shares were again threatening $US350. Breaking through that level, with three months to go before third-quarter results and serious questions about profitability, could send the stock on a rally toward $US400, something that happened in 2017. Hollis Johnson/Business InsiderThe Model 3. The bear thesis about Tesla – which over the first half of 2018 had pivoted to bankruptcy calculations at worst and prognostications about how much humiliation Musk would endure if he had to return to the markets to raise capital after ruling that out – is now in something of shambles. Short-sellers have suffered real pain and have more to come if the stock doesn’t retreat. Greenlight Capital’s David Einhorn effectively threw in the towel prior to Tesla’s earnings announcement when he admitted that his short position had contributed to an 18% loss for his fund year-to-date. Bulls aren’t going to have it easy, either. Numerous Wall Street analysts have trimmed their price-targets on Tesla and are now in the awkward position of having to take Musk’s word that the profits, to this point staggering absent, will materialise in the second half of 2018. The tricky thing about the most recent Tesla crisis is that it did have the outlines of the Big One. That’s why it sucked in some much enthusiasm among naysayers, while the company’s supporters had to kind of hang on for dear life. Even Musk said that Tesla couldn’t bet the farm again, as it did with Model 3, and get away with it. What the bears overlooked this time was that crisis is something that Tesla knows and knows well. The scale matters, but not as much as they assumed. So for the record, here’s a look back at all the other crises Tesla has overcome in the past 15 years. 2008: Legit brush with bankruptcy. Tesla was tiny and under incredible pressure in 2008. The Model S, the company’s first from-scratch design, was years away, and its was clear that the original Roadster wasn’t going to fund the company’s growth. Musk had sunk all his money from the sale of PayPal to eBay into Tesla, but the the end of 2008, the company was running on fumes. On an 11th-hour funding round saved the carmaker from bankruptcy. Crisis averted, but it would be four long years before the Model S would arrive. The degree to which the financial crisis damaged Tesla isn’t much discussed, but this wasn’t a pleasant period for the company. With the economy seized up, Tesla was largely on its own as other electric-vehicle startups dropped left and right. Credit wasn’t flowing, and the auto market in the US fell to a catastrophic 10-million annual sales pace. Nobody was sure there would be a market for all-electric vehicles, if and when the market recovered. Tesla, after having just stared into the abyss of bankruptcy, was staring over a cliff of permanently lowered expectations. 2010-2013: The stock goes nowhere after the IPO. Markets InsiderLook at that left-hand side of the chart. Tesla’s market cap is now $US50 billion, more than Ford’s and Fiat Chrysler Automobiles. But it’s 2010 IPO was relatively unremarkable, raising just over $US225 million with shares priced at $US17. 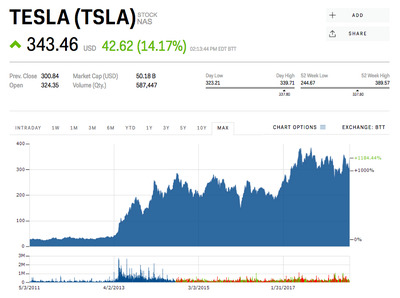 For the next three years, shares were flat and while Tesla was much-discussed and the US auto industry recovered, the company was under-the-radar financially and had to undertake additional stock offerings to pay its bills. 2015-16: Production Hell 1.0 with the Model X. 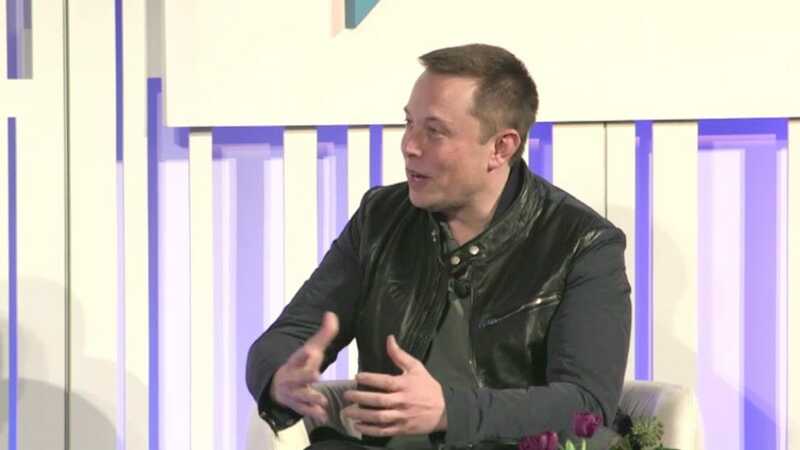 When asked, Musk will actually say that what he started calling “Production Hell” with the Model X SUV actually dated back to Tesla’s first experience with manufacturing struggles when it launched the Model S.
But for the sake of convenience, I generally think of Production Hell 1.0 as occurring with the Model X (and extending in to Production Hell 2.0 with the Model 3). Musk has been unapologetic about how foolhardy Tesla was in over-designing its first SUV. From the exotic, upswinging falcon-wing doors to a balky original concept for the rear seats, The Model X was decried by the CEO as an example of Tesla’s hubris. It took about six months in 2016 for Tesla to get the vehicle back on track. 2017: The stock-price slide after the SolarCity merger. Tesla acquired struggling solar-panel financing-and-installation company SolarCity in 2016. 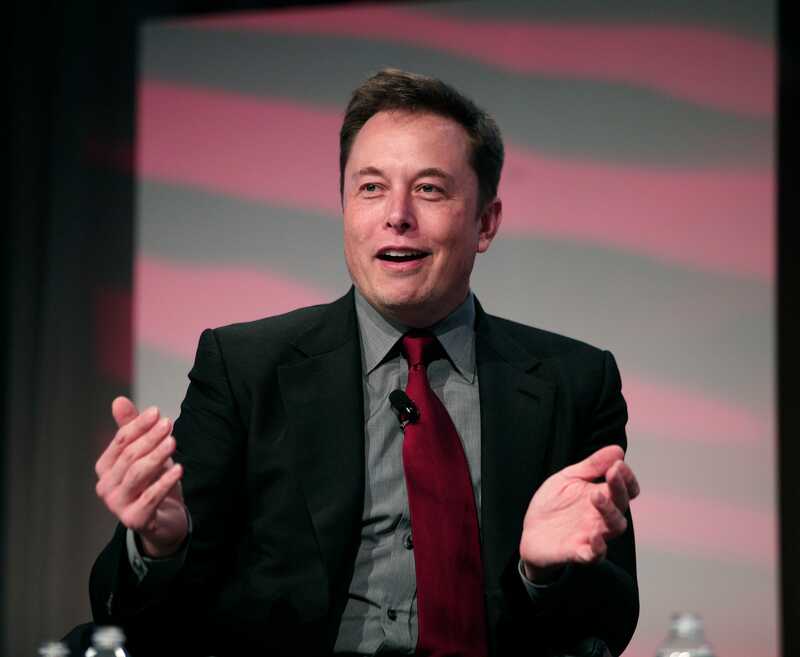 With Musk as Chairman and his cousin as CEO, the $US2-billion deal raised eyebrows – and ultimately sent Tesla shares plunging in early 2017. There were good reasons for this, mainly related to the sheer amount of extra debt it added to Tesla’s balance sheet. It also raised questions about corporate governance, given that Musk would become CEO of the conjoined firms. The slide didn’t last, however, and through 2017, Tesla spiked higher, at one point threatening $US400 per share.